It's great when our four-legged friends join us in the living room, with some of us even encouraging them to snuggle up on the sofa with us on an evening. 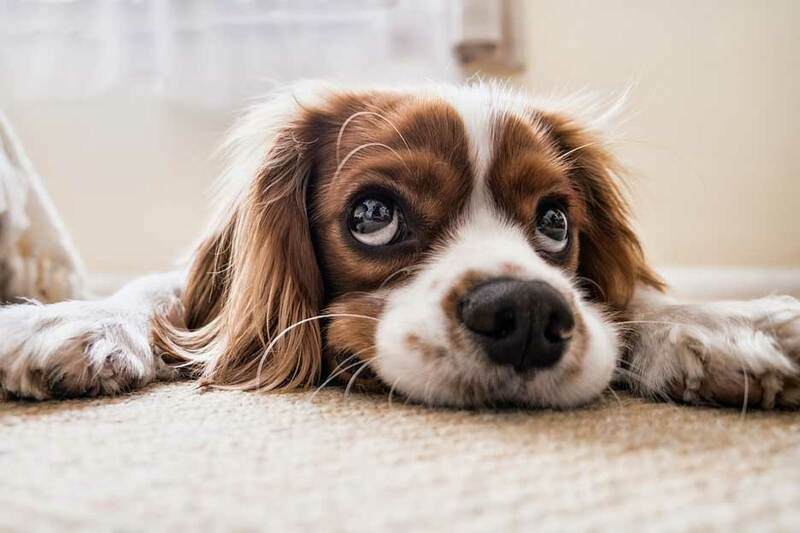 As a pet-owner, your living room can always be susceptible to shredded upholstery and stained carpets, so knowing how to dog-proof the area will make life a lot easier — and less stressful! — for you both. 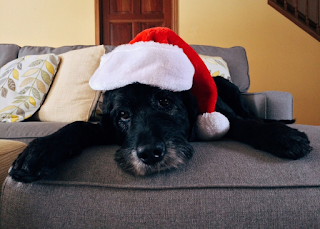 So, whether you’ve just bought a plush new sofa, or are sick of hoovering fur off your current one, here are five ways to effectively dog-proof your living room. Dogs love digging, and for some of our furry friends, it certainly doesn’t stop when they come indoors. If your dog scratches your sofa it can cause significant damage, whether it’s upholstered fabric or leather. 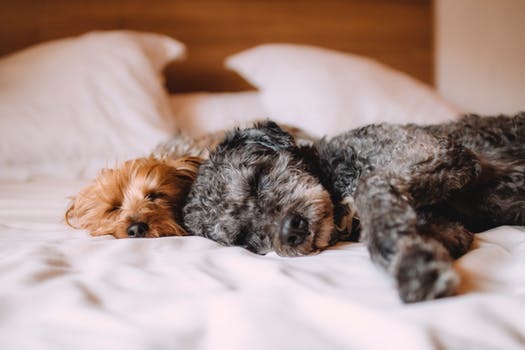 Giving them a special bed of their own to settle down onto will reduce the likelihood of your sofa being shredded — our training video for teaching your dog to settle on their bed might help with this. However, if you allow your dog onto the sofa with you, make sure you’re keeping it looking and smelling fresh and clean. Laying down a slip cover can instantly protect your sofa from being covered in fur. If you have a leather sofa, then you may find it needs some occasional maintenance to keep it in good condition: this leather cleaning kit from Timeless Chesterfields should erase any muddy prints or scents. And with the latter including both a protection cream and soft cleaner, there’s no need for a costly professional to come do it for you! One of the biggest hazards to your dog is the amount of live wires that’ll be linked up to various devices in your living room. Securing any loose wires with a protective casing, like this D-Line multi cable cover from ScrewFix, will stop your pet from getting to any cables — so they stay safe and you can still watch your favourite soaps! However, if floor-level wires are still proving an interest to them after this, you may need to pay a professional to mount your TV and hide the cables behind the wall. This will remove all danger of your dog managing to get hold of them, so you’ll have complete peace of mind. If you’re going to allow your dog into your living room, it’s sensible to have easy-clean flooring. So, if you’re planning an upgrade in the near future, switching out your carpet for a stain-resistant one, like this range from Carpet World, will ensure any accidents or mud trails will be easy to clean. There’s plenty of colour and loop pile options to choose from, so you can still achieve your dream living room look. However, if you’re not planning a living room overhaul anytime soon, adding a large fluffy rug can encourage them to sit on this rather than your cream carpet. But, to significantly reduce the chances of outdoor stains transferring to your living room, be sure to wipe and wash their paws thoroughly before they come into the house after a mucky day out. Some dogs will be tempted to chew almost anything, so keep anything dangerous on a high shelf. Getting down to their level and taking a look around is a useful tool for identifying possible temptations and hazards at their eye-level. 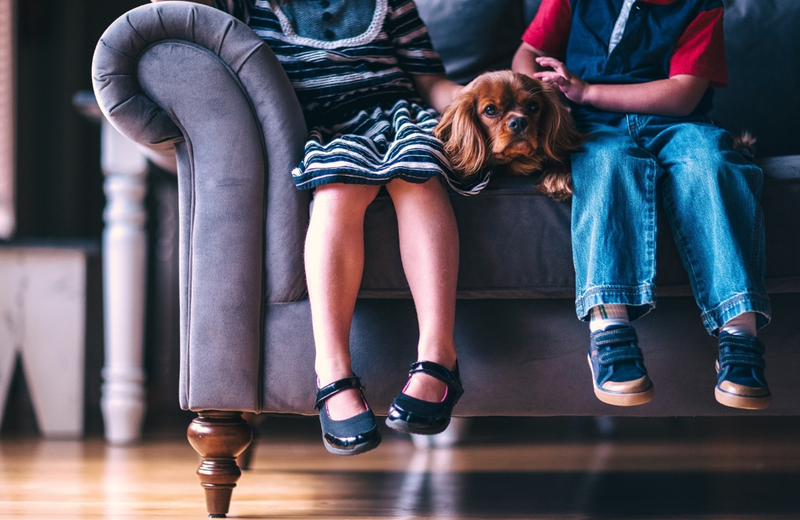 Small items like kids toys, houseplants and pens are among some of the things that seem less obvious to dog-proof in your living room, but they could also be the most hazardous. 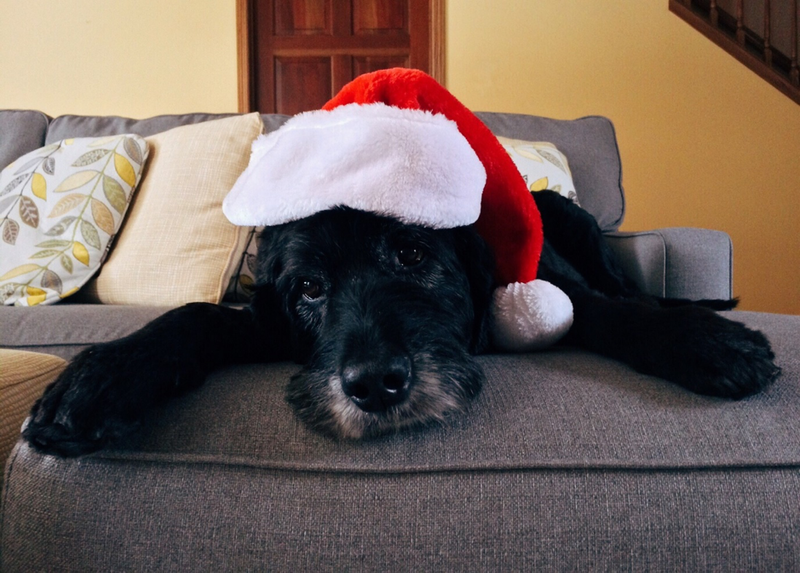 Remote controls and lit candles also pose a big risk to your dog, so make sure everybody knows not to leave these in reach, no matter how short a time your pet would be left unattended with them. In the winter months, dogs are just as fond of a warm cosy fire as us humans, so don’t be surprised to see them huddled round the fireplace. However, this is an obvious danger to them — particularly if you have a curious and inquisitive pet! Remove the danger of burns and accidents by putting up a fire guard, like this extendable one from Baby Travel, which will prevent your dog from being able to get too close to the fire from any angle. It adjusts to fit a range of fireplace sizes, so you don’t have to worry about your furry friend warming up by the open flames in winter. Just make sure your dog is always supervised whenever the fire is lit! Dogs are curious and sociable animals, so it’s only natural that they’ll want to retreat to the living room to relax alongside you. Keep them safe while in the living room with our top five tips for dog-proofing it — best of all, it doesn’t have to mean diverting from your dream interior look! Do you feel that you don’t know what it takes to groom your dog? The Hair Clippers Club (https://www.hairclippersclub.com/best-dog-clippers-dog-grooming-scissors-guide) can help you out. Imagine going for a haircut and your hairstylist fails to eliminate the tangles and the dirt you have accumulated over the days. Well, you will not be thrilled, to say the least. 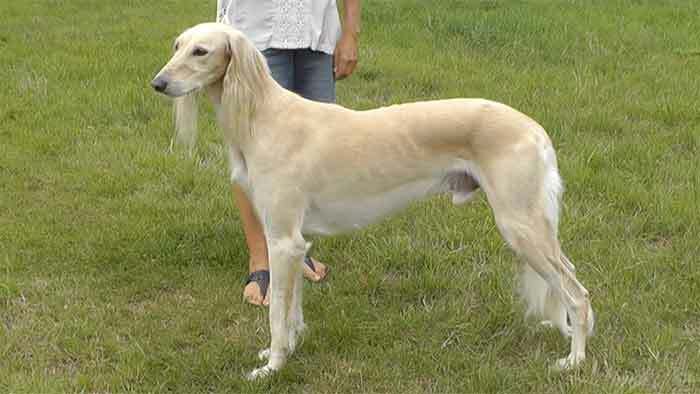 In the same way, you must wash and brush your dog’s hair to smooth it out and create an appealing look. Check out our video about Bathing dogs and Drying dogs. Find a good clip, blade, slicker brushes, and nail clippers, make sure the blades are sharp to avoid pulling the hair. Your online search will lead to an array of options and prices. Groom your dog when you do not have lots of other things to be doing at the same time. Relax and enjoy the process with your dog, using treats to encourage them to like being groomed if necessary. Take your time to study how the hair is growing, so that the cut is smooth and even. 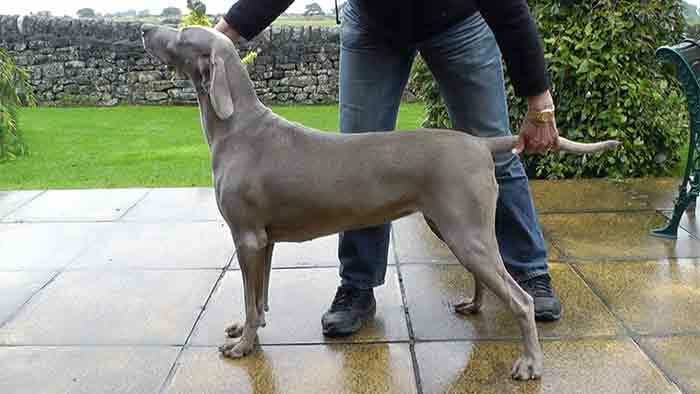 If you have a pedigree dog, you may want to look online to see how to groom your specific breed. While you can train an older dog to enjoy being groomed, it is easier when started young. Our video about Grooming Puppies gives lots of useful tips. As you try to train your dog to get used to the grooming process, consider creating a routine. You can start clipping the top of your head before proceeding to the neck. 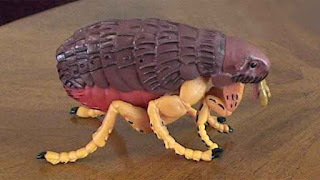 You can then clip the shoulders, chin, and down to the legs. Be careful when clipping the thin parts of the skin to avoid injuries. Be very aware of the temperature of the blades and switch the clippers when one gets too hot for your pet’s comfort, or take regular breaks for them to cool down if you do not have an extra clipper. Our dogs love to spend time outdoors - so much so, that they probably enjoy our gardens even more than we do. An outside area filled with interesting scents, sounds and toys will provide your furry friend with a space for exercise, exploration and relaxation, all of which they need to stay happy and healthy. So, you'll want to make sure that you do everything possible to make it a dog-friendly paradise. If you think your garden could be an even better environment for your pet, then a few simple updates - like adding new plants, creating spaces that encourage natural behaviours, and adding toys - can make a big difference. 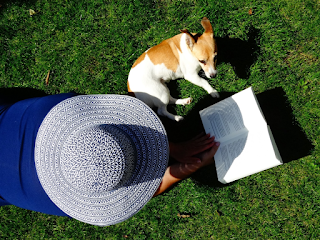 Read on to learn four things you can do to turn your outside space into a safe, stimulating oasis for your canine companion. Consuming certain plants can make your pet poorly, so you'll need to make sure that anything you grow in your garden will be safe for your furry friend. Many common garden flowers - such as foxgloves, hydrangeas, lilies and rhododendrons - can all be poisonous if eaten, so it's important to do your research before adding a new plant to your garden. You can find more information on which varieties can make your pet ill in this guide from The Kennel Club. While it's rare that your dog will compulsively eat plants which are toxic or harmful, it's always better to be safe than sorry, so avoid these varieties when picking ornamental flowers. Dogs will appreciate having a few interesting scents in the garden, so look for pet-friendly varieties that produce relaxing fragrances. Hops, valerian, chamomile and St. John's wort are all safe plants which will providing relaxing scents for your dog to enjoy. 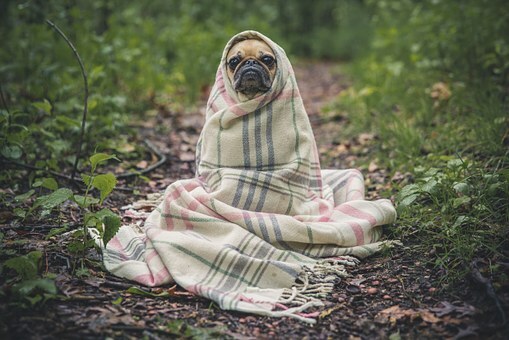 Pets with anxious temperaments might even self-select and ingest these plants to help them calm down when feeling nervous, so they're perfect if your dog suffers from episodes of separation anxiety. Behaviours like chewing, running through your flowerbeds, and digging up the lawn might seem annoying, but to your furry friend, they're perfectly natural. Dogs will dig holes and bury their toys when they need to burn off some excess energy, and certain breeds - like border terriers - are especially keen on it. You can indulge your dog's natural instincts by creating a special area in which they're free to dig to their heart's content without getting told off. To do this, simply pick an area in your garden, and create an enclosed space filled with a pet friendly compost or soil. 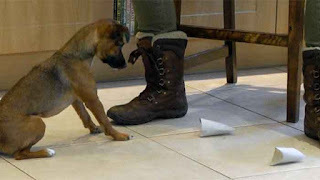 This way, your dog is free to exhibit their instinctive behaviours, with limited mess or damage. You'll need to bear in mind that certain shop-bought composts can contain cocoa bean by-products, which can be toxic if eaten in large quantities, so always check the label before buying. 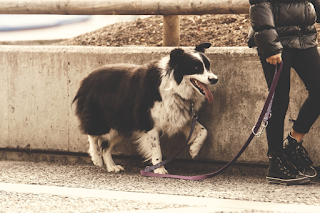 Dogs need both physical exercise and mental stimulation to stay healthy and happy, and daily walking alone is often not enough to fulfil these needs. If your dog has access to your garden via a dog-flap during the day, then providing them with ways to entertain themselves while you're busy can also help to ward off separation anxiety and the destructive behaviours it can cause. 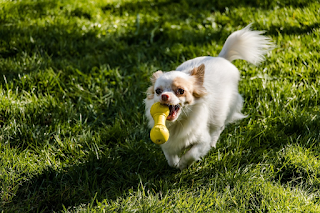 You can supplement your dog's daily dose of fun by providing them with a selection of toys and games, and scattering them around the garden. Just be sure to pick some hardy, weather-proof toys that will stand up to daily wear and tear: it's probably best to go for sturdy rubberised toys rather than cuddly or stuffed styles, as these can be magnets for dirt and are very difficult to clean. Any of the KONG products are generally good at withstand a variety of conditions, and will provide your dog with hours of fun. Those with very active pets and slightly larger gardens could even go for an agility set (check out our dog agility videos here), which are sure to help tire out even the most energetic dogs. Your garden is also the perfect place for training and playing games with your pet, so be sure to try out Wag and Tone, these exercises will be a fun workout for both you and your dog, and they're a great bonding activity, too. Even if your canine companion is your number one priority when designing your garden, you'll still want to include a few features to make your outside area a calming oasis for yourself. After all, our dogs are often highly attuned to our moods, so if you're feeling relaxed and at peace in the garden, then chances are your pooch will be blissed out as well. So, you'll want to furnish your garden with a few accessories that will help you to relax: windchimes and small running water features will bring soothing noises into your space that both you and your dog can enjoy. You'll also need to create a comfortable seating area, complete with a cosy cushion or two. A reclining deck chair, like this assortment of comfy sun-loungers from Wyevale, will give you somewhere to sit back and relax as your dog enjoys their new pet-friendly garden. Just watch out, as you might find your furry friend tries to join you! As any dog-owner will know, our canine companions love to spend time outdoors. If you think your garden could be a bit more pet-friendly, then try incorporating these simple updates in your outside space - your dog is sure to appreciate it. The excitement of this year's show is brewing in the dog community! The main arena is always a huge draw and it is an internal battle whether to watch EVERYTHING or continue around the many halls. The key is planning. Grab yourself a schedule and circle those that you just can't miss. I would recommend the Rescue Dog Agility, the Staffordshire Bull Terrier Display Team, The Golden Retriever Display Team and Heelwork to Music; skilled and happy dogs just having fun! Anticipation builds at the thought of the 550 trade stands with all the new foods, toys, equipment, information and gifts to peruse through and choose from. This year one of Cruft's sponsors is Natures Menu, introducing their new 'True Instinct' range of food. No matter what your interest in the dog world, there will be someone for you to converse with in a thrilling and passionate manner to brighten your mood. Make sure you look around Discover Dogs and visit the forgotten breeds and have a cuddle with all your favourites. Which breed do you think will win best in show this year? This only happens once a year so make the most of it, you won't want to leave. Top Tip: Bring a trolley! Canine companionship is a wonderful thing and, for many people, a dog is a member of the family. But raising a pet dog takes a huge amount of time, energy, money, and love. This means, while it can be great fun, not everyone is ready for the challenge. Given the responsibilities and level of commitment involved, it's clear that the decision to get a dog is one that no one should ever take lightly. If you're thinking about getting a dog, you'll need to consider how you plan to care for, exercise, and pay for your new pet. To help you get started, we've compiled this guide to things you need to consider before committing to a canine companion. Just read on to learn whether you're ready to welcome a dog into your home. 1. Are you ready for a lifetime commitment? The first thing you'll need to ask yourself is whether you're ready for a long-term commitment that will take up a great deal of your time. When you commit to a dog, you need to be certain that you can provide the care they'll need for the rest of their lives, and the average lifespan is usually 9-17 years, depending on the breed. So, you'll need to factor your potential pet into your long-term plans before making a decision. 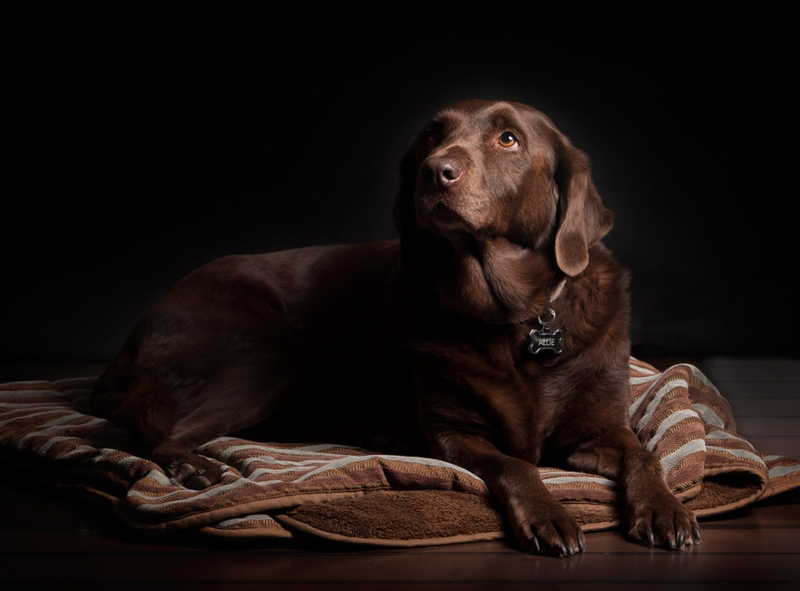 Bear in mind that, as your dog grows older, they may begin to experience health issues, so you need to be absolutely sure that you'll still be up to the challenge in ten or fifteen years' time. 2. Can you meet the needs of the breed you want? If you've got a certain breed in mind, you'll need to do your research to help you find out whether you can cater to the individual needs of that kind of dog. It's not enough to simply pick the breed you find the cutest: you'll need to figure out whether you've got the time and the resources to take care of them properly. So, before you make a decision, do your homework and learn about the grooming, exercise, and diet requirements of your favourite breed, and whether you have the time (or the inclination) to carry these out. For instance, some breeds - like border collies - will require at least a couple of hours of exercise a day to keep them healthy, happy, and stimulated, meaning this type of dog is only suitable for someone who wants to spend lots of time outdoors. Our breed library is a great place to learn more about the different temperaments of every breed, so you can make an accurate and informed decision about which dog is right for you. The average cost of keeping a dog is around £25 a week, although this can vary drastically depending on the size and breed of dog (The Kennel Club). To ensure that you can afford to keep a dog, you'll need to research the requirements of your chosen breed, and work out how much money you're likely to need on a weekly basis. 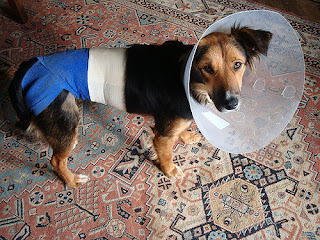 So, you'll have to factor in expenses such as food, insurance, vet's fees, and toys. 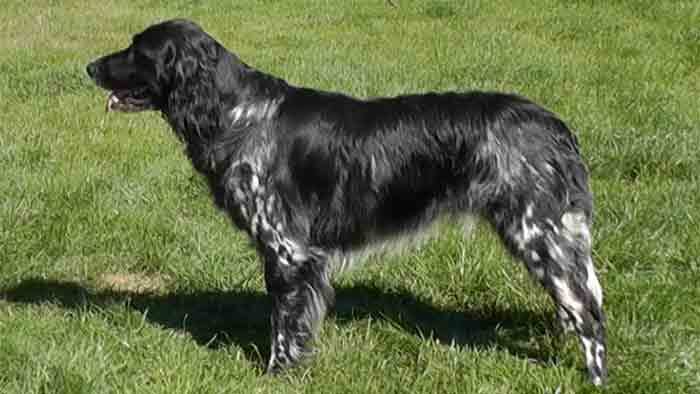 Bigger breeds will require more food, while long-haired breeds might require expensive professional grooming sessions. You'll also need to consider the initial price of your dog: pedigrees will be the most expensive, with breeders charging hundreds of pounds for sought-after breeds. Rescue dogs are much more affordable, although there is usually a rehoming fee to cover the medical expense of vaccinating and neutering the dog. 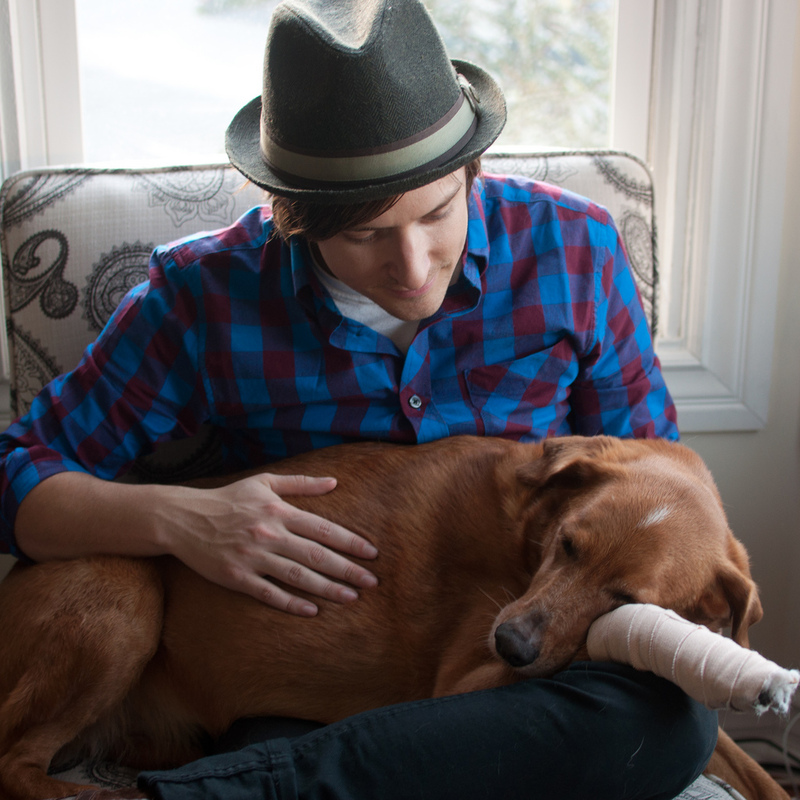 If you're not sure where to start, H&T has a guide on how to create - and stick to - a budget, so you can be sure that you can cover the cost of your pet over their lifetime. 4. How compatible are your living arrangements and lifestyle? Not every home is suitable for keeping a dog. If you have a small home, or live somewhere without a garden or outside area, you may struggle to give a larger or more energetic breed of dog the space they need. Some breeds may be less compatible with young children, while others may not socialise well with any current family pets, like cats or guinea pigs. So, you'll have to consider whether your home environment is a suitable place: PetMD has a handy guide to which breeds are best if you have children. Dogs need companionship and supervision, so you should also think about how you plan to fit them into your day-to-day activities. For instance, is anyone in your household at home during the day? Or would you be able to hire a dogwalker or house sitter to check in with your dog while you're at work? If you think a dog simply wouldn't be compatible with your current lifestyle, you might be better off getting a pet with less complex needs. Getting a dog requires careful preparation and planning, so you'll have to be sure that you're up to the challenge. If you think you have the time, space, and money to take care of a dog, and you've taken these considerations into account, you're well on your way to welcoming a pet into your home. Crufts, every dog lovers dream to attend, with something for everyone. The excited buzz of the crowd created an atmosphere like no other. Where to start! The main arena was a sight to behold, it was an internal battle whether to watch EVERYTHING or continue around the many halls. My favourites were the Rescue Dog Agility, the Staffordshire Bull Terrier Display Team, The Golden Retriever Display Team and Heelwork to Music; skilled and happy dogs just having fun! We found this amazing stall selling bow ties for pets! The array of stalls full of food, toys, equipment and gifts would easily keep you busy for the entirety of the event, especially if you don’t have the will to pull yourself away from shopping opportunities. There were so many people to converse with that have the same interests as you and keep your mood bright for the whole day. Then we took on a challenge to see how many NHD reporters we could fit in a dog crate! Check out our facebook page www.facebook.com/naturallyhappydogs for more posts and photos about our adventures and if you want to follow along with next year's antiques, 'like' and 'follow' the page. We recommend you start planning for your visit next year, you won’t be disappointed. We are off to Crufts again from the 9th to the 12th March, we don't have a stand this year but if you would like to come to chat with us, do drop us a Facebook message and we can meet you there. While it was originally about showing dogs, Crufts has become the place to go for all of our canine shopping, finding out about new training techniques, sports and the latest companies in the dog world. It's also a great day spent out with a few thousand other doggy people! Tickets are on sale now from the Crufts ticket office. Don't delay - get yours today! It's lovely to learn a simple training method that really changes things for you and your dog, and today we learned three of them! "Chuck the Cheese" is a very easy to teach method to get your dog to pay attention to you, and untimately offer you some behaviours before they rush off to play with other dogs. Skyler helped out as the 'more advanced' training demonstrator. "Drop, Step and Treat" is a nice little exercise to do occasionally with your dog so that if you ever drop your lead, your dog's response is to look at you. Imagine how useful this would be if you dropped the lead near a busy road. "Food bowl manners" - does what it says on the tin! When explained in these simple terms, it's clear how effective Tony's methods will be to ensure dogs are happy when you are around their food bowl. Today we filmed the lovely Toni Shelbourne in Berkshire to find out more about car travel problems, firework phobias and what actually happens during a TTouch session. As usual, Sandy and Skyler were on hand to help out and were more than willing TTouch participants! Skyler is a very active little dog so we wonder if it will have an effect in calming her down a little, we're ever hopeful!